Dark pine stained mirrors, shelves and wood decor from the "cutesy" country decorating days are common finds at thrift shops in my area. With just a little paint, stenciling, and hooks, these finds transform easily. 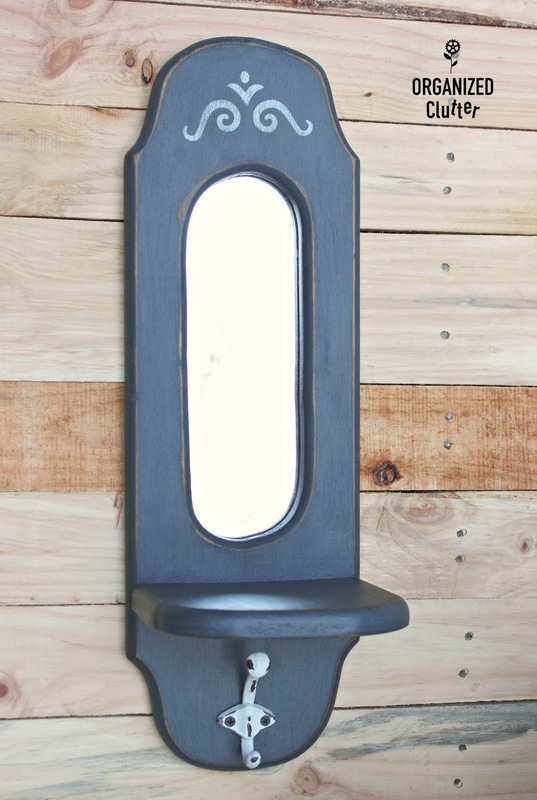 I painted the mirror with two coats of DecoArt Americana Decor Chalky Finish Paint in Relic. No prep necessary. I purchased the paint at Hobby Lobby, but it is available at other craft stores and at Amazon. After painting, I distressed the edges with 220 grit sandpaper. I chose a small design stencil from a collection of Plaid Icon stencils available at Walmart. Lastly, I brushed on a coat of Decoart Creme Wax and added a Hobby Lobby hook. Here is the mirror with its new updated style! My next project started with a glued edge board purchased from Menards. 1" x 12" x 48". 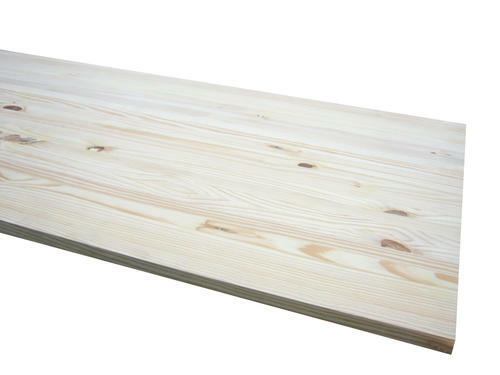 First I stained the board with a gray stain and rubbed a little dark walnut stain over it to darken it a bit. I guess I neglected to take a photo of the staining process. Ugh. I wanted the gray to show through my Dutch Boy Chalk Finish Paint in Antiquated Lace, (also from Menard's), so I whitewashed or used a fairly dry brush to apply the paint. 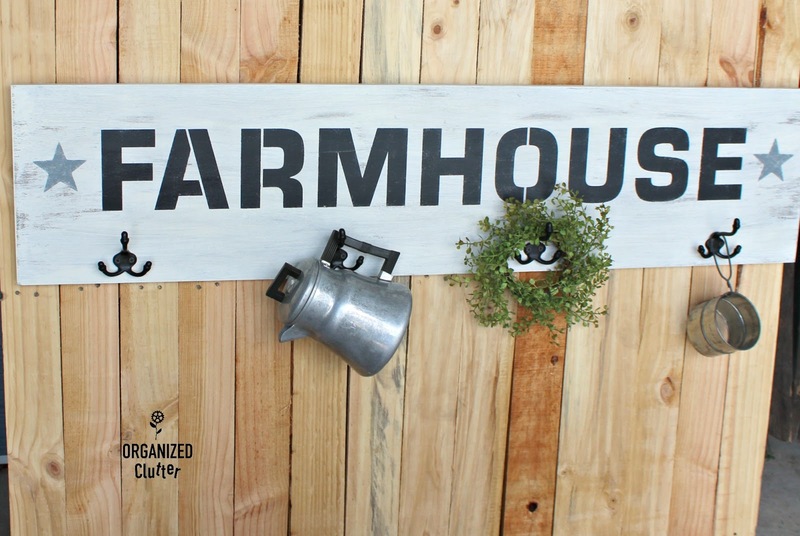 I chose *Old Sign Stencils large Farmhouse stencil for my sign in black craft paint. 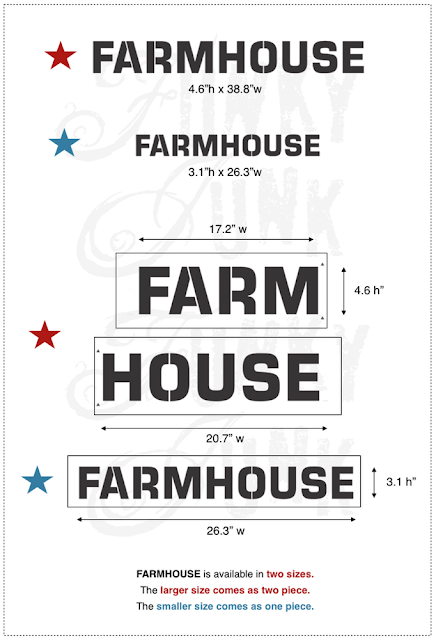 Check out all the great designs from Old Sign stencils! I guarantee you will love them all. I added two small stars from a star stencil in gray craft paint. I use these stars quite often in my projects. I sealed my sign with Varathane Crystal Clear matte finish, added Hobby Lobby Hooks and sawtooth hangers to the back. Lots of decorating possibilities with this sign and hooks in several rooms! My last project started out with a cabinet frame I purchased for 50 cents at a thrift shop. First, I stained it with dark walnut stain. Next I added a piece of bead board paneling backwards. Other thin boards would work, but this is what I had on hand. I painted the board (before nailing it to the frame) with Annie Sloan Chalk Paint in Old White. 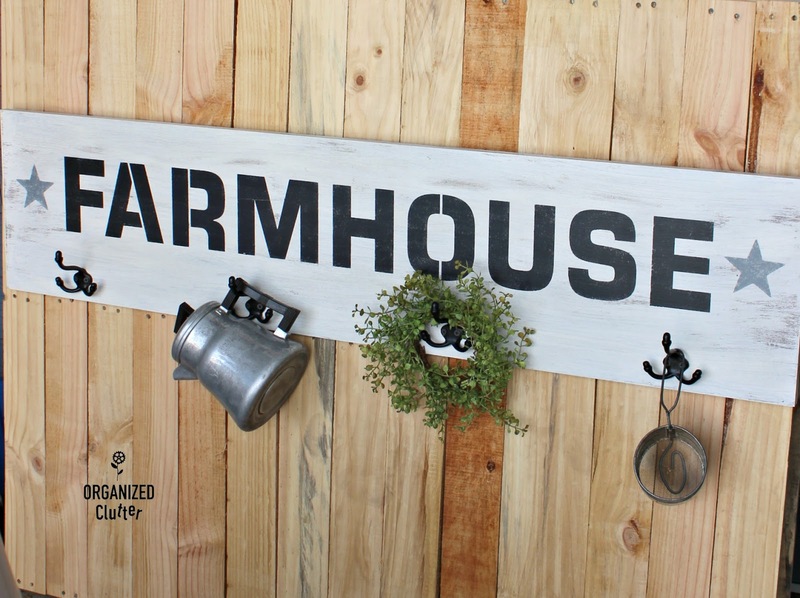 For this project I chose the Old Sign Stencils Antiques stencil. Since the stencil is horizontal, I traced the letters on newspaper and cut them out to help with positioning on my board. Here is my "framed" stenciled sign. I sanded the piece just a bit and also used my Plaid Layering Block to distress the sign as well. Love all the makeovers!! So imaginative and thanks so much for the inspiration! 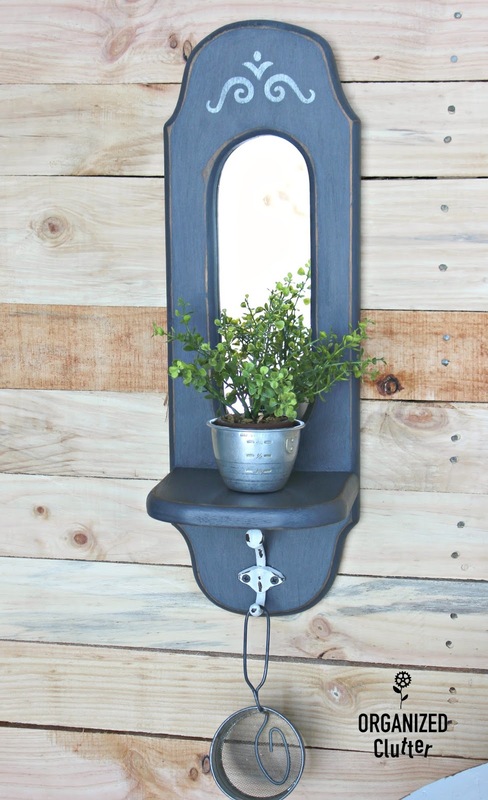 Great upcycles!! Love all of these! Wow all three are beautiful...great job! Love it all! 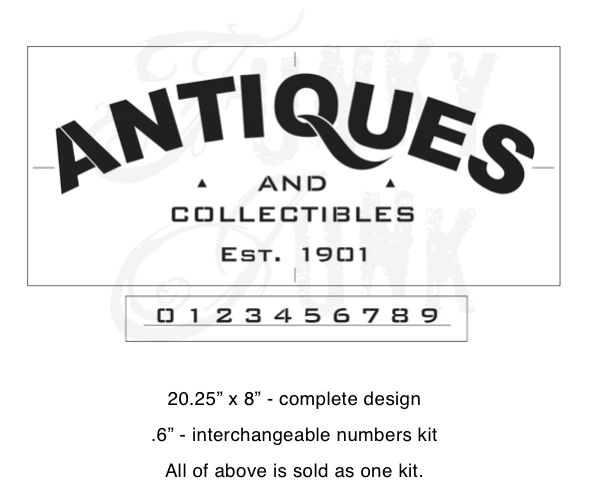 Especially the antiques one! Oh Carlene! How in the world did I miss this Farmhouse sign?! It's gorgeous! And so adoring the Antiques... so cool, looks like a prebuilt frame! Fab!! !